Next choose “TEAM” near the top of the page (1). You will see a list of feature settings, please click on “Track apps & URLs” (2). You can change the default organization setting to either “Off”, “Apps”, or “Apps & URLs” (1). You may also change the setting on the specific user level (2). That’s it! 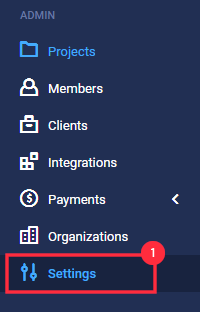 Your organization is now configured for app and URL tracking! Just make sure that your team members are using the most up to date versions of the client. See how to check for updates. App/URL tracking is ONLY supported on OSX 10.7 or later. App/URL tracking is not supported in the Chrome App/Extension or on our mobile apps for Android and iOS. For a complete list of supported operating systems, browsers, and devices with our feature sets, please click here. Learn more about Hubstaff’s internet monitoring.